A jack of all trades and a master of only a few, Keith W. Strandberg specializes in getting the job done in a unique way that catches people by surprise. An acknowledged expert in the watch industry, Strandberg is known for his unique take on heretofore straight forward subjects. In addition to watches, Strandberg specializes in motorcycles, health and fitness, general business issues, China and Asia, the luxury lifestyle, the judicial system (courts), law enforcement, the corrections industry (prisons) and more. Strandberg is currently the Editor-in-Chief of Revolution USA , Watch Editorial Directorfor China's Fortune Character , Worth magazine's Watch Editor, a contributing editor for Law Enforcement Technology, as well as the Editor of special watch sections in The New York Observer and Variety. Click on the links below to see samples of Strandberg's work. 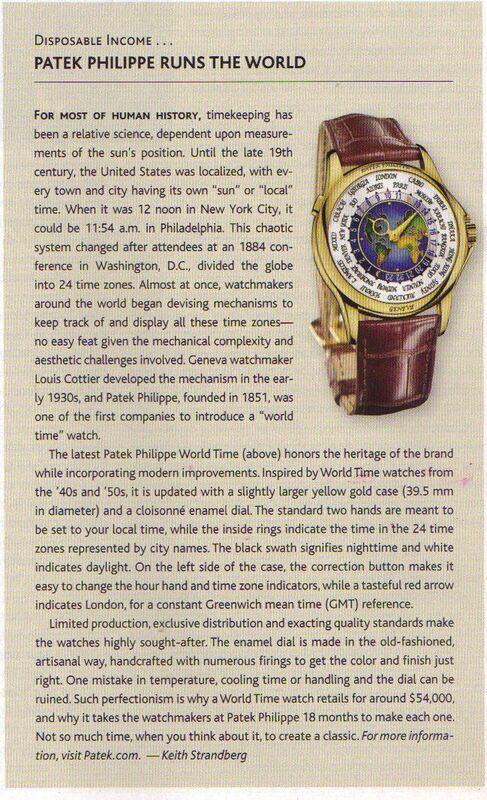 Hemispheres Special Watch Section (November 2011) -- 13 million readership!